- Contains: Smart Custom-Repair Serum 10ml, Smart Custom Repair Eye Treatment 5ml and Smart Custom Repair Moisturiser 50ml with SPF 15. 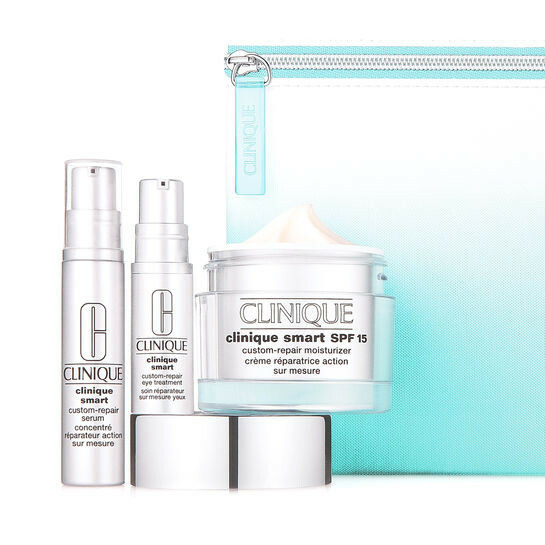 - This Clinique gift set will visibly smooth the appearance of wrinkles and lines, lift skin and hydrate and even out the skin tone. 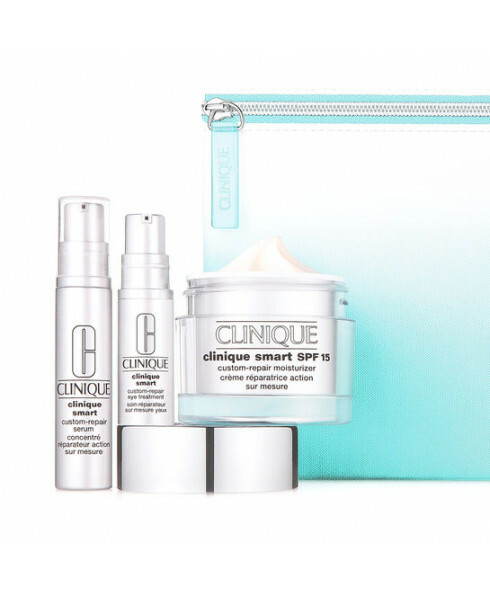 - The moisturiser, serum and eye treatment in this set are particularly good at making the skin smoother and firmer.